Vodafone Sevens Coach Ben Ryan. Photo: RONALD KUMAR. I feel so very lucky to be in-charge of such an unbelievable group of athletes backed by a country so passionate about sevens rugby. 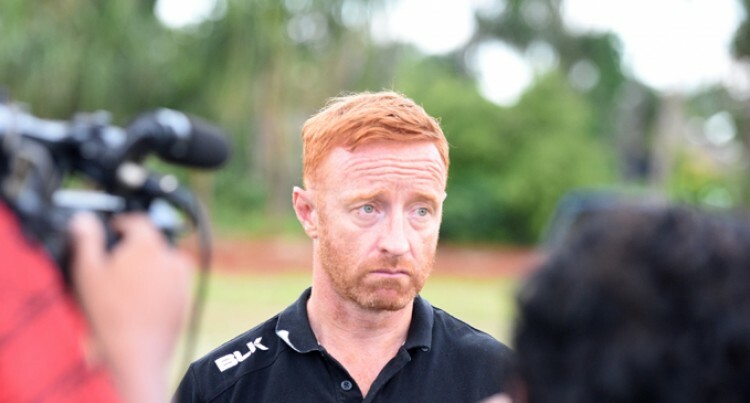 These were the words of Team Fiji men’s rugby sevens head coach, Ben Ryan after winning the country’s first ever Olympic Games gold medal. They thrashed Great Britain 43-7 in the medal final at the Deodoro Stadium in Rio de Janeiro, Brazil yesterday. “I certainly wouldn’t have the success if it wasn’t for Osea and the rest of the guys,” he said. Ryan said he is grateful to the players and was impressed with captain Osea Kolinisau. When asked about his future, Ryan declined to comment on it as his contract with the Fiji Rugby Union expires soon after the Rio Olympic Games. When asked on how they got fired up against Great Britain, Ryan says, it was back to strategic planning after the semi-final. “We had a 3-4 frame work on how we are going to play Great Britain. We looked at some kick-off strategies that we are going to do and defence and attack. When approached Great Britain coach Simon Armor said the Fijians were unstoppable when they have possession.